Italian painter and printmaker, a world renowned exponent of Pop art and one of the few continental artists to receive critical acclaim in this genre of contemporary art. 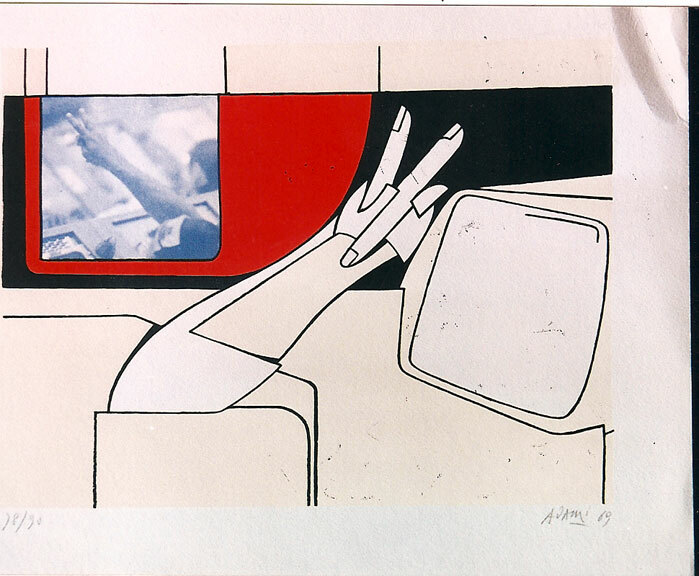 Trained at the Brera in Milan, Valerio Adami has worked in both London and Paris. Originally, an abstract artist, Adami gradually shifted to figuration. His most characteristic work, generally resembles comic strips, with solid outlines and flat coloring. Occasionally, his work also borders on Surrealism.